This post may contain affiliate links and we’ll be compensated if you make a purchase. This doesn’t affect rankings. The UNC School of the Arts “The Nutcracker” is a Winston-Salem Christmas tradition for many Winston-Salem families, ours included. The dazzling production offers exquisite artistry in dancing, elaborate costumes, set design and Tchaikovsky’s rich musical score and is a joy for all ages. Beyond the fantastic ballet performances and magical music, the production includes falling snow, rolling fog, and a magical light show of a Christmas tree that grows enormous right before your eyes. Read my review of the 2017 show below. The setting of “The Nutcracker “ is in western Europe in the 1800s. The story opens on Christmas Eve at the home of Hans Stahlbaum as the family hosts a festive party. The Stahlbaum children, Clara and Fritz anxiously await the party guests and games. The children’s mysterious godfather, magician Herr Drosselmeyer, and his apprentice, Sascha, arrive. Drosselmeyer delights guests with life-size dancing dolls and gifts. He presents Clara with a nutcracker, which her brother, Fritz, breaks it. Drosselmeyer fixes it, and the party guests leave. Clara comes back downstairs after being sent to bed to retrieve the nutcracker, and her dream begins. She finds that mice have eaten Santa’s cookies and have stolen the nutcracker. The Christmas tree grows to an enormous size (or does she shrink?). Fritz’s toy soldiers have come to life along with the nutcracker, and they march against the mice. A battle ensues. When Clara sees that the nutcracker is about to be defeated by the Mouse King, she throws her slipper and hits the Mouse King, distracting him. The nutcracker recovers and defeats the Mouse King, who dies a dramatic death. The nutcracker places the Mouse King’s crown on Clara’s head, and she magically becomes a princess, and the nutcracker becomes a prince, unmasking himself to show that he is Sascha. The Nutcracker Prince takes Clara on a tour of the Land of Snow and introduces her to the Snow Queen & King and the Land of Sweets, where the Sugar Plum Fairy shows them the wonders of her kingdom. Clara and the Nutcracker Prince are entertained by several dance performances, including the Spanish Dance, The Chinese Dance, the Arabian Dance, the Waltz of the Flowers and more. Clara and Sascha return to the Stahlbaum’s home, and Clara and Sascha share a touching goodbye. While it’s difficult to narrow it down to just one favorite part, I’d choose the dance of the snowflakes as mine. My daughter cannot name just one. The Mouse King is lots of fun, as well as the enthusiastic drunken Russian number and the opening party scene with the younger children. The caliber of the production is so grand that it’s hard to believe the performers, musicians, and crew are so young. It’s a testament to the talent and teaching at UNCSA. And though the show is worth the ticket price, as an added bonus, proceeds from ticket sales fund scholarships for UNCSA students in the schools of Dance, Design & Production, and Music. 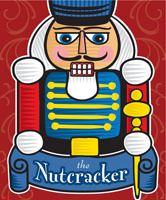 “The Nutcracker” is a seasonal jewel of Winston-Salem and a holiday family must-see event! Have you seen “The Nutcracker” in Winston-Salem? What did you like most? Enjoy This Article? Sign Up For More of the Best of Winston-Salem! Kristi was born and raised just up the road in Mount Airy (a.k.a. Mayberry) and frequented Winston-Salem often growing up for school field trips, shopping, and dining. After attending Appalachian State University, and a brief stint living in Southern Virginia, Kristi returned to Winston-Salem, NC in 1999 and began her work in non-profit, public relations and writing. She and her family enjoy the convenience of living near downtown Winston-Salem. She enjoys the arts, photography and cooking. "I'm a small town girl at heart, but Winston-Salem isn't an overwhelming city. It is rich with friendly people, history, culture and has a vibrant art community and that is why I am proud to call this "My Winston-Salem!" All Content © 2019 Cover Story Media®, Inc. All Rights Reserved. My Winston-Salem® is a trademark of Cover Story Media®, Inc.